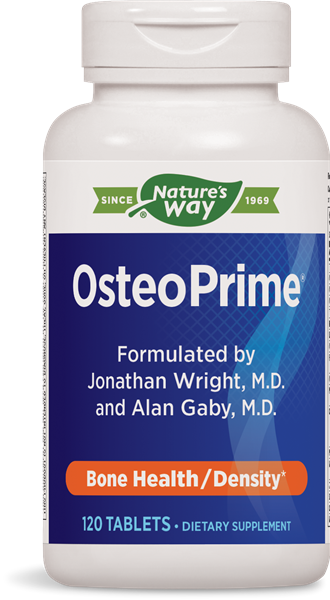 OsteoPrime® / 120 tabs - Nature's Way®. Dr. Alan Gaby is President of the American Holistic Medical Association & Medical Editor of The Townsend Letter for Doctors. Dr. Jonathan Wright is medical director of the Tahoma Clinic. Take 4 tablets daily, during or after meals. ‡‡Krebs cycle intermediates in this blend include citric acid, fumaric acid, malic acid, succinic acid, and alpha-ketoglutaric acid.